Last year’s #BrokenRecordShow was SO FUN. We shot video of the entire show to meet GUINNESS’ evidence requirements but we really wish we could have filmed a documentary about what we were doing. We have all the resources we need to successfully run this 8-day long show and beat our own world record, but we don’t have the equipment we need to film a behind the scenes documentary about doing this very dumb thing (again). That’s where you come in. 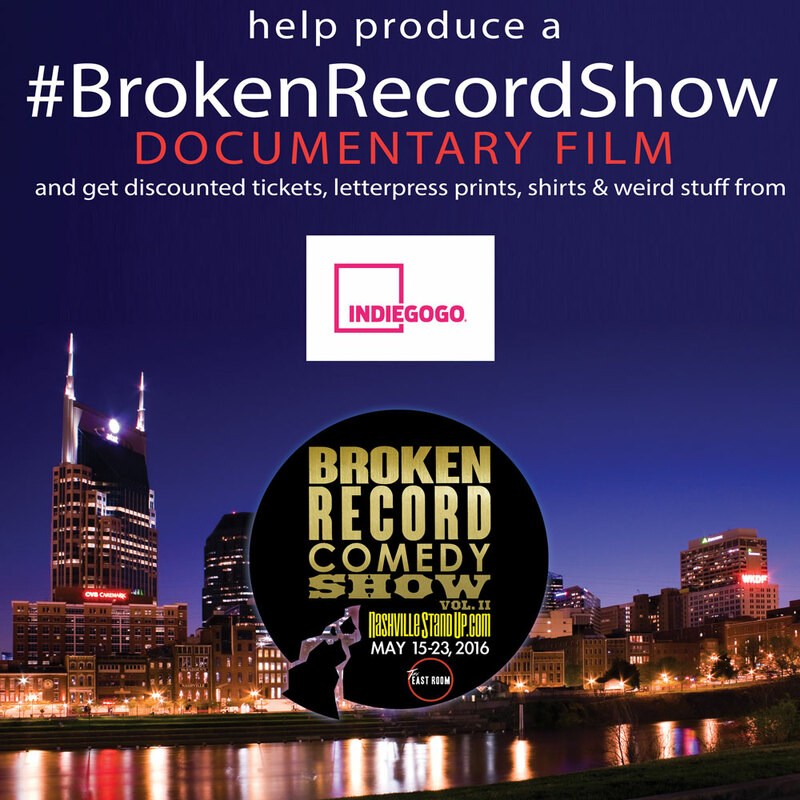 We’ve launched an IndieGoGo crowd-funding campaign to pay for the minimum equipment we need to film a documentary. If we raise more money than the bare minimum we need ($1256 + 10% to cover the fees IndieGoGo will take out), maybe we’ll be able to buy a MacBook Pro to edit this thing on and be able to compensate people who help us out. 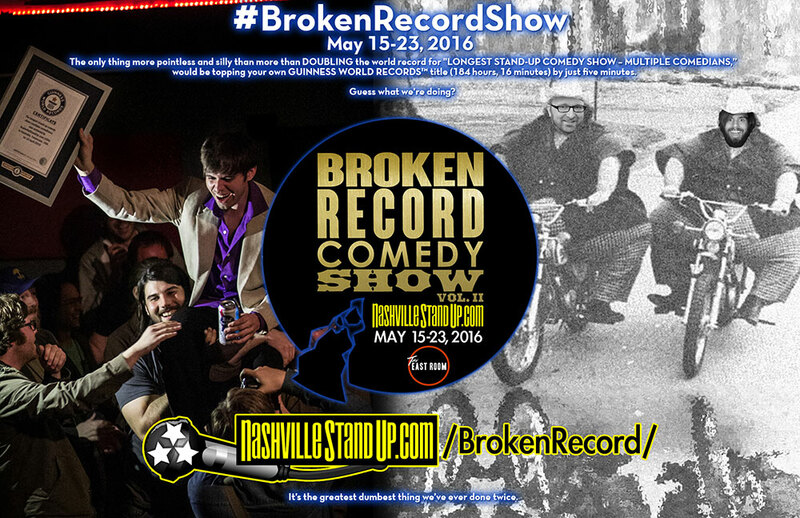 VIP all-access passes to the show May 15-23 at The East Room in Nashville, TN – watch hundreds of comics driven to madness by a relentless amount of comedy as many times as you want. What if we DON’T break our own world record? We’ll look pretty dumb, won’t we? The big difference is we first broke the world record after 80 hours and this time it’s going to take us 184 hours and 16 minutes to do it. That’s many more opportunities to screw this up. Please tell your friends on social media! Volunteer to help! Last year we had over 60 volunteers and we couldn’t have done the show without them. SHOW UP at the show! We need butts in the seats. Everybody will be much more comfortable with a full audience. Join the NashvilleStandUp.com mailing list & follow us on Facebook, Twitter, Instagram & YouTube. Steal money from some richie rich person who doesn’t deserve what they have and THEN contribute with THAT money.